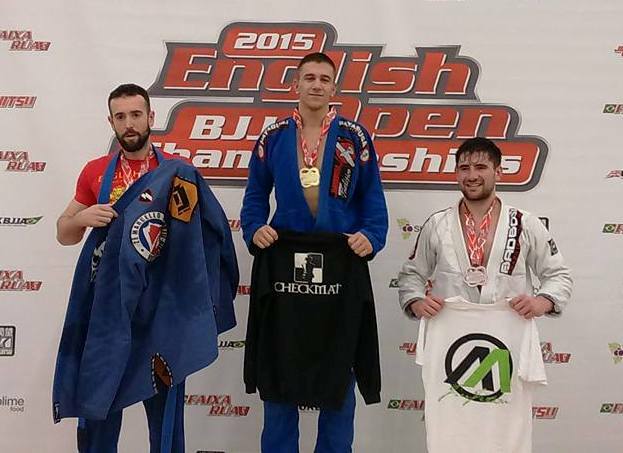 Well done to George Kolarov on his Gold Medal win at the English Open in Dartford at the weekend. Super motivated, always here — training in the Brazilian Jiu Jitsu and Wrestling classes — George entered the Adult Heavyweight Category at the weekend and showed mucho experienced for his 18 years. Winning his first two fights on points, George did well to take the top-position, passing half-guards and moving well to keep on top and keep scoring as he moved from position to position. In the semi-final he came up against the touch Rich Caplen from Brighton, winning on points and in the final he initiated the fight with a well performed ‘ankle-pick’ before taking control and winning via arm bar. It was an awesome weekend for George who’s literally going from strength to strength and demonstrated both his technical skill and physical strength to win with three convincing performances. 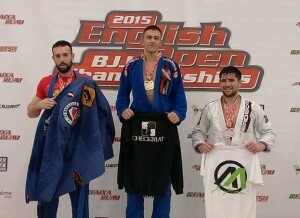 Big well done and it’s great to have such a great player in what’s already a great Brazilian Jiu Jitsu team.